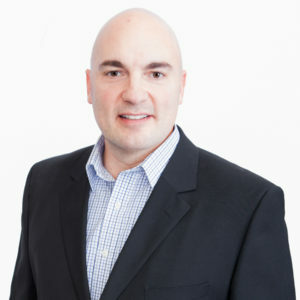 Canna Consulting Group Executive Director Karl Keich has set the corporate vision and mission for CCG which is focused on helping new cannabis businesses drive strategic business growth through the expansion of comprehensive industry management solutions, the development of strategic partnerships and the growth of business operations throughout Washington and Colorado. Karl brings over 15 years of cannabis related business experience to CCG with a proven history of success. Owner of one of Seattle’s consummate dispensaries SMMA, Karl’s expertise is in retail operations management and includes integrating points of sale with inventory, cannabis industry best practices, and design and process improvement. With his understanding of the cannabis industry, Karl has developed a keen eye for recognizing opportunities in peripheral markets, and a background in the research and development of new products for the cannabis industry through business analytics. Born and raised in Seattle, Karl graduated from UW, receiving his B.A. in Sociology. A working professional for 20 years, Karl realizes the importance of building relationships and networks. In this particularly unique profession, he also understands the value of constantly communicating with local lawmakers and is an active voice in the cannabis industry. Karl knows what professionals expect and can deliver. He has built a successful, sustainable business while establishing a network of trusted colleagues. Karl’s intimate understanding of the cannabis business is unparalleled. His knowledge of the cannabis industry comes with years of experience that can only be acquired by hands on collaborations within the industry. As a result, Karl knows a quality product when he sees it, with a keen insight to the characteristics that make something exceptional. His feel for the pace of innovation in the industry is second to none, helping industry leaders develop and refine their products. It is this unsurpassed knowledge that will help you bypass and work through the complications that will arise, no matter the issue.